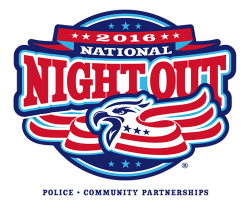 In 1984, National Night Out — “America’s Night Out Against Crime” — began as a way to promote crime prevention through neighborhood camaraderie. Have nametags for neighbors to fill out and wear; 67 percent of homeowners in a study by Nextdoor and Harris Interactive said knowing their neighbors helps them feel safer. Briefly explain the purpose of National Night Out and promote neighborhood watch basics, such as reporting suspicious activity to the police, etc.